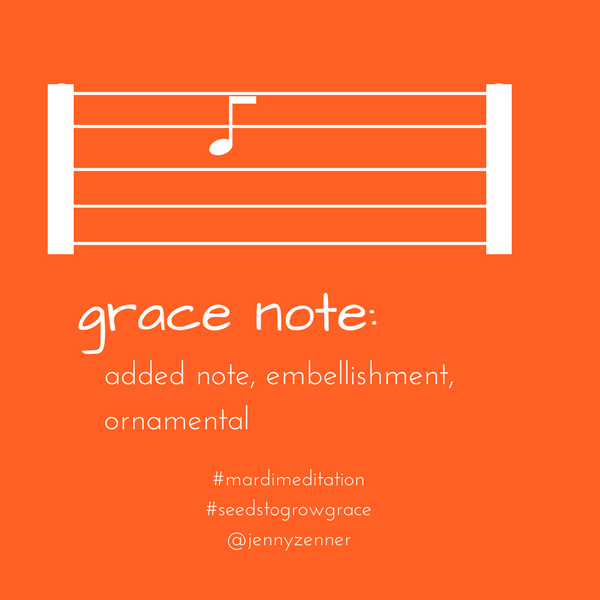 In music, a grace note is extra, not part of the main melody, an add on. As I work on composing myself to add more grace, I’ve begun collecting moments when others have done a bit extra for me, when they have extended grace above and beyond. I intend to share these “grace notes” with them, expressing my gratitude for their generosity. What notable acts of grace, big or small, have you received lately?